Harry Lawrence III, of Yardley, was arrested Tuesday for allegedly assaulting a child at his wife's home-based day care, several times, about ten years ago. 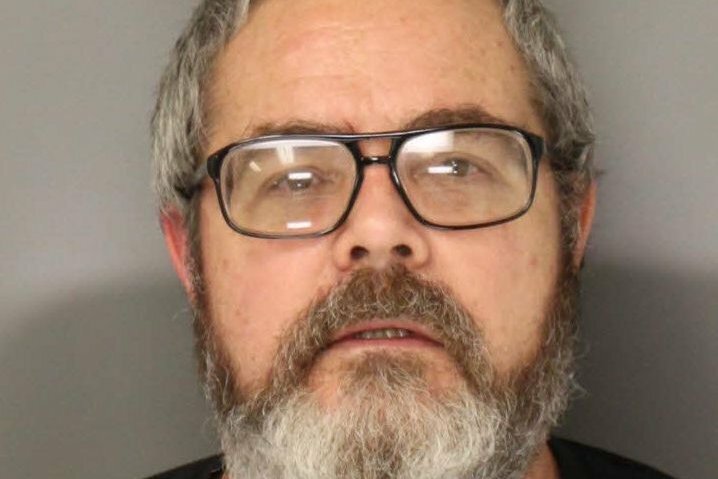 A 54-year-old Yardley man was arrested Tuesday and charged with sexually assaulting a child at a Morrisville, Bucks County, day care several times more than a decade ago. According to a court document, Falls Township Police arrested Harry Lawrence III after a woman told officers in November that "many years ago" she was repeatedly sexually assaulted by Lawrence when she was at a day care owned by Lawrence's wife. Court documents stated the woman told investigators that 10 years ago, when she was about 9 or 10 years old, she was "sexually molested by the husband of her day care provider and that this occurred between approximately six and 12 times." During the time of the alleged assaults, the day care, Little Joys Day Care, which operated from the Lawrence's former home on the 200 block of Vernon Road, in Morrisville. It has since closed. The woman told police she attended the day care for about three years, from 2000 to 2003 and during this time, she said she was abused by Lawrence in the basement of the home, according to court documents. The woman, as detailed in court documents, said Lawrence sat her on his knee as a child and touched her inappropriately. When she moved to halt his advances, the documents said, Lawrence allegedly would continue to molest her. Lawrence is charged with aggravated indecent assault of a child, unlawful contact with a minor, indecent assault of a victim under the age of 13, corruption of minors and related offenses. Lt. Harry Ward, of the Falls Township Police, said law enforcement officials worry that there may be more victims who have yet to come forward. "We believe there may be more victim’s out there. We have just opened two more investigations from information we gained during this investigation," Ward said in an email. "These assaults happened approximately 10 years ago, so if anyone had their children in this day care, please speak to them and see if they have been victimized by this subject." Anyone with information is asked to contact Detective Stephen Reeves at reevespd@fallstwp.com or at 215-302-3305. Lawrence has been sent to Bucks County Prison in lieu of $250,000 bail.